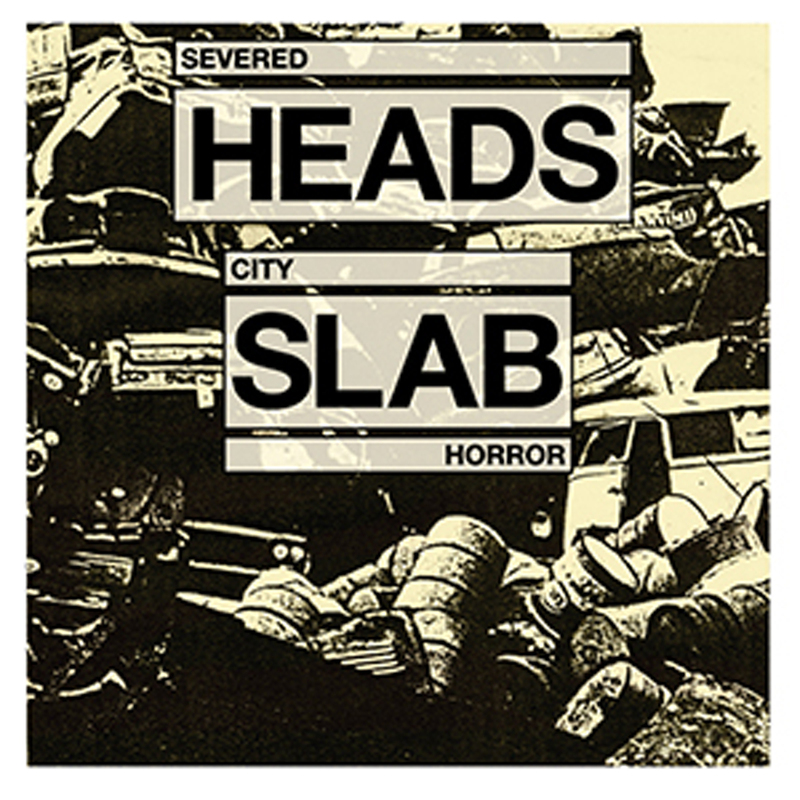 Brainwashed - Severed Heads, "City Slab Horror"
Severed Heads, "City Slab Horror"
Much to my delight, Medical Records has recently reissued two of the arguable jewels of the Severed Heads' discography: 1983's Since the Accident and this effort from 1985. Both hail from the transitional period between the messy, contrarian experimentalism of the band's early years and Tom Ellard's later forays into more conventional electronic pop. While City Slab Horror lacks anything like a hit single (Accident had "Dead Eyes Opened"), it is actually the more listenable of the two releases, finding a fine balance between Ellard's more perverse and absurdist tendencies and actual beats and hooks. Naturally, the primitive technology employed sounds rather dated thirty years later, but Ellard's distinctive eccentricity remains as charming as ever. Notably, Severed Heads was still sort of an actual band rather than a one-man show during the recording of City Slab Horror, as the album was primarily a fraught collaboration between Ellard and new member Paul Deering. Admittedly, Deering was a surprising choice as a bandmate, as he was more interested in making crunching industrial music, while Ellard was intent on taking the band in a more "skewed electronic pop" direction. 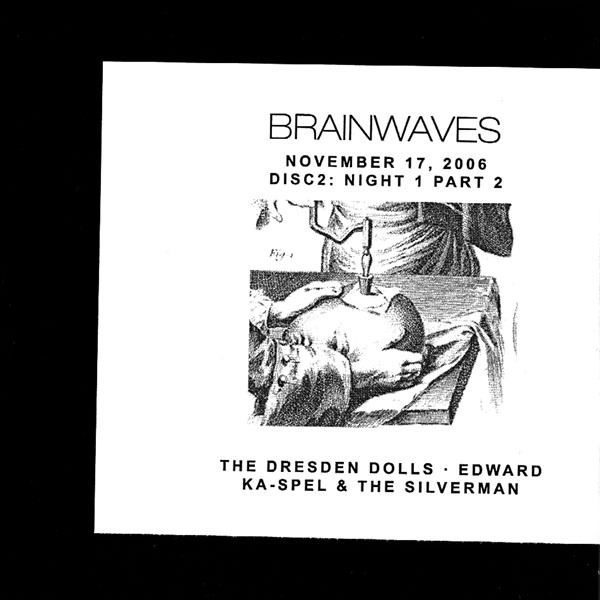 Also, the name "Severed Heads" was originally chosen as a joke, as Ellard and some of his former bandmates thought it would be hilarious if people thought a bunch of Australian weirdos from the coastal suburbs were scary industrial provocateurs. While these sessions unsurprisingly ended in a screaming match and Deering moving away, Paul's influence on the album is pleasantly evident in the thudding, obsessive drum machine rhythms of pieces like "Ayoompteyempt" and the swaying, sea-sick menace of "Spitoon Thud" and "Voices of the Dead." Despite that unsustainable situation, the band's two wildly disparate directions actually do not sound all that schizophrenic at all here and actually make for an intriguingly varied and unpredictable album. Of course, the most memorable pieces are still Ellard's fledgling stabs at something resembling pop, the best of which is probably the buoyant and upbeat "4.W.D.," which is seemingly the only song that Ellard himself sings on the album. Though it boasts a propulsive enough beat, pleasant sing-song melody, and charmingly clunky synth hook, the true appeal lies in how wrong it sounds when compared to the sophisticated synthpop that folks like Human League and O.M.D. had already been putting out for years. Somehow "4.W.D." manages to seem naively childlike, effortlessly aberrant, and gleefully self-sabotaging at the same time, as if Ellard was completely unaware that his contemporaries were miles ahead of him in both technology and songcraft and believed that his own ramshackle, primitive, and surreal pop song about a jeep ripping through his chest was perfectly relevant and marketable. Of course, he was aware and just did not care, though his later albums would show a definite move towards more conventional sounds (even if his core sensibility largely remained completely out of step with the rest of the world). City Slab Horror offers up a few other attempts at pop and dance as well, with varying degrees of success. My favorite of the bunch is the thumping, Garry Bradbury-sung "Now, An Explosive New Movie," which still sounds like a sure-fire floor-filler at an industrial dance night (despite its dated fake-horn stabs). The album's single “Goodbye Tonsils” is another delightful song, embellishing a somewhat rudimentary synth melody with all kinds of skittering, stuttering chaos and movie samples (and some more help from former member Bradbury). "We have Come to Bless This House" treads quite similar territory, but does so in a more cheerily plodding way that can best be described as "gloriously '80s." The surprisingly aggressive industrial dance of "Cyflea, Rated R" is yet another classic of sorts, though it actually sounds much more like Skinny Puppy or something than like Severed Heads, despite the chopped-up, gibbering samples. There are also a handful of songs that do not sound like either low-budget, garage synthpop or industrial soundscapes and those odd experiments are what elevate the album into something special for me. In particular, I like "The Bladders of a Thousand Bedouin," which is a squelching, clattering, and obsessively repetitive tape-loop (or sampler) experiment. Another minor gem is "Guests," which weaves a sublime spell with floating, ghostly swells of choral samples. That said, City Slab Horror does not actually boast a single song that I love, just a disproportionate number of songs that I like. That is part of what makes this album so unique in Ellard's discography, as I have always found him to be a very hit-or-miss artist, just as capable of being absolutely brilliant as he is of being absolutely annoying. As a result, there are very few Severed Heads albums that I enjoy in their entirety–probably just this one, Cuisine, and perhaps Since The Accident. In any case, City Slab Horror is a memorably bizarre and unique album that documents a particularly fertile, adventurous, and messy period in Ellard's evolution in which he was still heroically deviant and inventive, yet hugely limited by the gear available to him and still figuring out where he wanted to take the project. Extreme limitations seem to yield remarkable results sometimes and this is one of those instances: while it certainly sounds both primitive and dated in 2014, City Slab Horror also sounds dramatically more distinctive, deranged, vibrant, and memorable than anything released by most of Ellard’s better-known contemporaries. It is not seamless and it is not pretty, but it is certainly still compelling.